SteelSeries really succeeded to make a difference with the brand new mechanical switch design, which is capable of lower 1.5mm actuation, a 3mm throw and 45cN force (similar to Cherry MX switches). The central LEDs now allow a more uniform lighting of the keycap while the lettering/digits are made from semi-transparent plastic in order to allow LED light shine through. This is not all! We do also have a larger, re-designed Spacebar key for easy access, extra keys for programming, replaceable bottom feet, a dual-CPU configuration for allowing N-key rollover (up to 256 key presses at once, overkill) and dual USB 2.0 ports for connecting multiple low-powered devices. 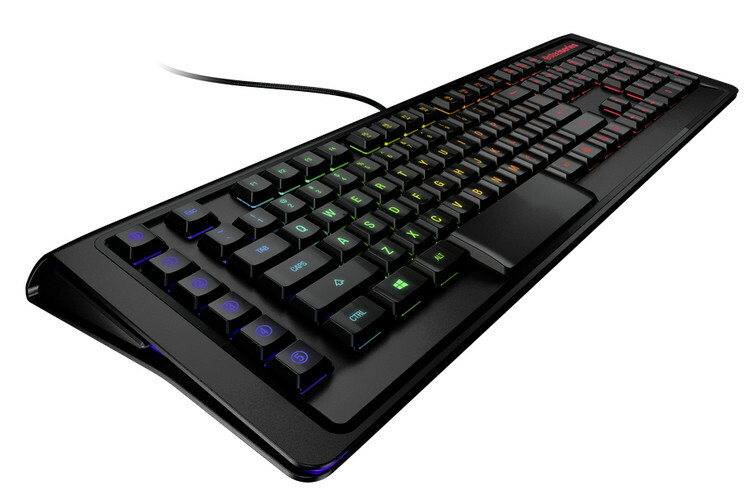 At first we would like to thank SteelSeries for offering the Apex M800 Gaming Mechanical Keyboard for testing and reviewing.